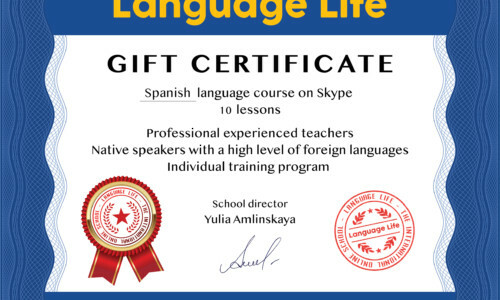 Now at Language Life you can purchase gift certificates for lessons in any foreign language taught by a native speaker or a Russian speaking instructor…. Bring a friend and get a discount! My day typically starts out with a cup of coffee and a trip around the world: I do this by giving Russian lessons via Skype…. If you came by recommendation of one of our students, fill up his name below and get a discount. Language Life © 2013-2019. All rights reserved.